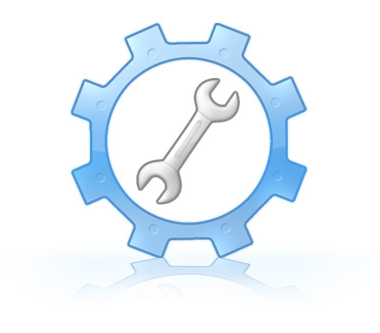 Blackboard will be undergoing maintenance from 10pm on Wednesday, December 17th until 10am on Thursday, December 18th, 2014. Blackboard will be unavailable during this time. This maintenance will address the accessibility, security, performance and scalability of the platform as well as other known issues. We are posting this announcement now to allow for any changes in due dates and schedules in your course(s). Please do not log in or try to do any work during the maintenance window. During the downtime, please visit the SHSU Online Blog for more information. 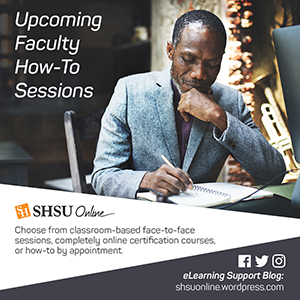 E-mail blackboard@shsu.edu if you have any questions. With finals fast approaching, your students should be dutifully studying up on course materials, completing academic research and course activities that will help them be able to handle the questions and concepts they come across during end-of-semester assessments. 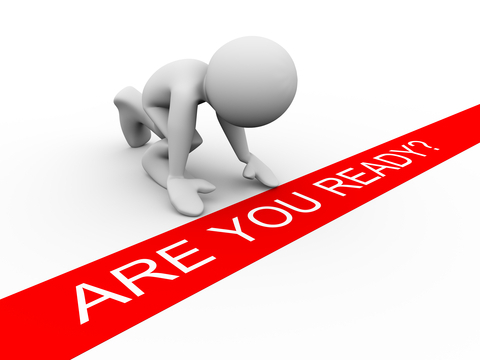 Your course materials have covered topics large and small that will help them make appropriate inferences, connect the dots and generally understand the subject matter they have been interacting with over the course of a semester. Plug your laptop into the power outlet unless you are absolutely certain that your laptop has enough battery power to last for the duration of the test. If you have the option, turn off your wireless connection and plug your laptop into the nearest available network port or use your desktop computer if available. Wireless issue can cause your exam to disconnect and your instructor may not be fond of resetting your exam attempt for the umpteenth time. Close down any other programs that my distract you from the test or interfere with your network connection. Having only one active program ensures your computer will be running at its best. Check your laptop idle time to make sure that it will not go into sleep mode prematurely and sabotage your assessment attempt midway through. Disable all pop-up blockers. These blockers come installed in the latest versions of Internet Explorer and Firefox, in third-party toolbars such as Google and Yahoo, and they can come with utility software such the Norton products from Symantec. Ensure that your laptop has the latest Operating System (e.g., Windows) patches. Automatic updates can disrupt your current browser session or make your laptop very slow. Use a web browser that is compatible with or certified to work with the current version of your Learning Management System. Using Special Software? Practice, Practice, Practice! If you are using a lockdown browser or special proctoring software, be sure to download and install it BEFORE you take the exam. Your instructor may provide a practice assessment that will let you make sure you are familiar with the special software involved. When beginning the quiz/test, click the quiz link ONLY ONCE and wait at least a minute for the quiz/test to load.. Do not keep clicking on the quiz/test/test link. Clicking on the quiz/test link two or more times may trigger a message saying you already took the quiz/test. If, after clicking once and waiting the full minute nothing happens, contact your instructor or test proctor immediately. Once you have started the quiz, do not leave the quiz/test page for any reason. Using the browser’s back and forward buttons to move to and from the quiz/test will end the quiz prematurely and prevent you from further access until your instructor clears the attempt. If you are permitted to view other online resources during the quiz/test, open a new browser to view them. In case of computer problems during the test notify your instructor as soon as possible. He or she will reset your quiz/exam attempt or authorize a designee to do so. Your instructor may have policies on if they allow you to reattempt the quiz at all. Sizing it up BEFORE You Begin! Do not resize or refresh your screen after loading the quiz/test. Make sure the screen is the size you want before going into the quiz/test. Most browsers refresh the page when you resize the screen so the browser will try to reload the quiz/test if you resize/refresh.